The walls of the National Law Enforcement Officers Memorial contain the names of 528 correctional officers who have died in the line of duty. The first of those fatalities was William Bullard, a Missouri corrections professional who was beaten to death during an escape attempt on June 14, 1841. Sadly, the number of correctional officers on the Memorial will increase next year. Within the last week, we have lost two more corrections officers, the most recent being Donna Fitzgerald, 51, who was assaulted and killed on June 25 by an inmate while on duty at the Tomoka Correctional Institution in Daytona Beach, Florida. Just five days earlier, on June 20, Correctional Officer Jose Rivera, 22, was stabbed to death by two inmates at the United States Penitentiary in Atwater, California. Officer Fitzgerald, of Port Orange, is one of 24 female corrections professionals to be killed in the line of duty and the third to die in the past year. She was a 13-year veteran of the Florida Department of Corrections. During 2007, Elizabeth G. Franklin, 54, fell from the watch tower at the Julia Tutwiler Prison for Women in Alabama and died six days later on December 7. Corrections Officer IV Susan L. Canfield, 59, of the Texas Department of Criminal Justice was killed during a prison escape on September 24, 2007. She was on horseback during a prison escape when she was run over and killed by fleeing inmates in a pick-up truck. 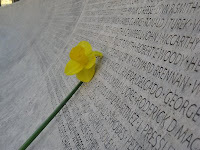 Prior to Officer Rivera’s tragic death, 24 other federal Bureau of Prisons members had died and are permanently commemorated on the Memorial walls – just another reflection of the dangers our dedicated correctional officers face. Nationwide, there are more than 200,000 correctional officers currently serving today in local jails, state prisons and federal penitentiaries. They are responsible for the custody and security of some 1.5 million inmates nationwide. That is a ratio of about seven inmates for each officer. There are roughly 8,000 assaults on correctional officers and security staff each year. In the past 30 years alone, more than 200 correctional officers have died in the line of duty. About one-quarter of them were stabbed to death. Despite these harsh statistics, all too often our nation takes its law enforcement officers – and especially its correctional officers – for granted. This is why we built the National Law Enforcement Officers Memorial – to respect, honor and remember the service and sacrifice of all law enforcement officers. And that is why we are working to build the first-ever National Law Enforcement Museum, which will include an exhibit dedicated to the service of our nation’s corrections professionals. We want all Americans to better understand and appreciate the hard work and sacrifice of all of our law enforcement officers. Where were you? What If No One Showed Up to Your Funeral? You should have been there. You owed it to them. It was the very least you could do. It was as moving, as profound, as beautiful, and as incredible as any have ever been. The Candlelight Vigil is the emotional peak of the Week - maybe of my entire year. There were tens of thousands of cops and survivors there, but I didn't see you and I wondered: why? I was asked to speak to a national audience of seasoned veterans on Wednesday. There were some who still choked in tears when the issue of the Vigil came up. I shared what I had been taught in the academy with that prestigious group: we have two duties to the 18,271 officers whose names are etched in that Memorial. First, we owe them our best. We must conduct ourselves in a way to never brings dishonor to them or the badge they wore as they gave their life. Second, we must never forget. I intend no disrespect for the officers from bygone years whose names were just added. However, my heart and my focus went out to those who made the ultimate sacrifice in 2007. I felt like I was attending the funeral for 181 of my brothers at one time. As active cops, our presence at the Vigil is important to many. It makes a great difference to the surviving family. The family of officers who directly suffered the loss will be affected in ways we hope never to know. Our presence bolsters all of the other cops who are there and reaffirms their faith in The Brotherhood. Maybe most of all, it reassures each of us and our decision to join the fight for what's right. This year, I traveled with a long time friend named Joe. It was Joe's first time. It was my eighth. I saw the wonder in his eyes as this experience unfolded before him. I shared in his awe and tried to make the experience even better for him. Prior to the Vigil, Joe and I were walking along the Wall, looking at the newly inscribed names and the mementos that had been left in their tribute. We came upon two females who seemed to be studying and poring over one name that was new. We stopped and asked if they had lost someone who had been close. They both nodded as they choked back tears. Joe asked who he was to them. The first replied, "We worked together. He was my best friend." The second followed, "He was my big brother. I miss him so." They told us of how this fine young officer had been taken out in a tragic event. His sister then talked about The Brotherhood. While he was alive, the family often felt cheated because they had to share their cop's attention and love with his fellow officers. It was a part of his life that they somewhat resented and certainly didn't understand. On that day, in that place, at that time, they understood. They had no concept of what being part of The Brotherhood meant prior to his death. They do now. They told us how they felt surrounded, enveloped, and cared for by thousands of cops from everywhere. While the names of the cops weren't known, their love and concern resonated deep within the souls of the family. Now, they know. Now they realize why their brother / son had been drawn so tightly to this bond of our Brotherhood. I want to paint a word picture for you. It's nearing dusk at the Memorial on the 13th of May. There is a large stage set for speakers and singers to use at one end. There is row after row of chairs neatly set, anticipating the arrival of the surviving family members. The grounds around are swarming with cops. Cops of every size. Cops of every shape, age and color. Uniforms, plain clothes, and honor guards are everywhere. At the other end of the Memorial, hundreds of honor guard members from departments from everywhere stand at attention as the first of many buses arrive carrying the grieving family members of fallen officers. As the bus door opens, a family steps onto the walk and they are greeted by the honor guard from the agency where the fallen officer served. That family is escorted to a seat prepared just for them. It is done with the utmost love and respect for those who carry this awful burden. One can witness family after family. Bus after bus is arriving and bringing those who mourn. Joe nudged me. I looked up and see a small child - maybe 4 or 5 years old. He is walking just ahead of Mom. She is being escorted by the honor guard. That child is carrying the single rose that the guardsmen have given him. He walks proudly, but slowly, and with tears streaming down his face. He is looking around in total awe. He is learning a lesson for which he's much too young. He's also learning a vital lesson, as well: The Brotherhood will never let that family stand alone. We will respect their fallen officer and always remember to honor what he (and his family) has given our great country. But, I still wonder: where were you? I guess that I must have missed your face in the crowd. There are some who just couldn't make it. A couple of years ago, I had to choose. My daughter's graduation from college was in conflict with Police Week. I had to make a choice. I did. I chose to be with my daughter. It was the right choice. Yet, I missed being in D.C. terribly. Sometimes it just can't be avoided. My wife wants to go to (fill in the blank) on vacation and I just can't go to D.C. I forgot to put in for the time off at work. I can't afford it this year. I've decided that I'd rather spend the time at the ocean this year. The list goes on. Suppose, just suppose that your life was given in the line of duty next week, next month, or next year. God forbid it happens. But, let's just suppose. How would you feel if everyone was "too busy" to pay their respects at your funeral? How would you feel if no one checked in on your family to make sure that they are OK? Would you expect the other cops in your life to find time for your family, or would their excuses of being too busy suffice? Feeling guilty? I hope so. We can all find a few bucks to go for beer, to play cards, or other do stuff when we choose to. Do you realize that throwing $10 a week ($20 a pay) into your "locker fund" cup would produce enough cash for a trip to Police Week? OK, if you live a long way off or will only stay in 4-star hotels, you'll need a little more. What would you spend if your partner's name were being added to the Wall next year? That's what I thought. No amount would be too much. Can't get the time off? Come on. You want to go do D.C. for the Candlelight Vigil and the guys you work with can't or won't trade days or make it possible for you to go? Are you really trying to sell that one? I suggest you come up with a better story than that. Joe and I decided that after we'd had a few barley pops at the FOP beer tent, we'd walk by the Memorial one last time before heading back to the hotel for the night. We bumped into a guy who's a Fed. I forget the agency right now. They lost a guy last year and like us, our new friend wanted to stop by the Wall to see and touch that name once more before bed. He began to tell us the story, when tears began to flow. We tried to bring him comfort. It was then that we learned that our new friend had lost his 18 year old son to suicide just a month before. What can anyone say to that? I didnt know, either. We stood together. We talked. We smiled. We told stories. It was so very much like the experience one goes through during the visitation process at the funeral home when a loved one has died. Just being together helps us to feel better. It's therapeutic. It touches the soul. It gives us a few good memories to hang onto in an otherwise horrible time in our lives. You need to be there for those who need you. I found this letter taped to the Wall this year. It was handwritten on loose-leaf notebook paper. I copied it down so that I could share it with you now. The past two years I have missed you so much! Sadly, there are many things in life that you missed. But, I will cherish the months spent with me and I will never forget. You loved the band, Rush, so much that you went to a concert and took me. You bought a tee shirt there and you loved to wear it. On the last day you and I spent together, you wore that shirt. Now, every night, I sleep with it, thinking about you and how much I miss hearing your voice. Every night you would tuck me in and say, "I love you baby, Goodnight." Daddy, there are so many things that I miss about you. The thing I miss the most is seeing you and hearing your voice. You went to every soccer and baseball game I had. Now, I am on a swim team like you were in high school. As I read this letter to myself, I cry. But, that's OK. If I had one wish in life, I would wish that you had never died. I love you and miss you. You will always be in my heart. That, my brothers, is why I go. It's why you should go. If you were there: Thank you. If you were not: What's your excuse? Where were you? The Candlelight Vigil will happen on Wednesday, May 13, 2009. What will you do today to guarantee that you'll be standing there next year? We owe the fallen two things: conduct ourselves in a way that honors them and their service, and always remember them and what they did. Are you doing your part? Your comments are always welcome. Click on my name below. Jim Donahue is a native of the Midwest, getting his education at Michigan State University. He is now training patrol officers on Technology & Tactics. He has responsibility for training cops around the country to use patrol car computers - safely. Jim has worked with police departments across the country on process improvement at the patrol car level, focusing on technology to improve tactics, safety, and productivity. He instructs in a variety of police academies and having taught "Technology and Tactics" to thousands of cops in-service nationally. He is an accomplished grant writer. Jim is a certified ILEETA member. Jim has worked as a reserve officer, initially with U.S. Customs & Immigration at the Detroit/Canada border in the year following the attacks of 9/11. He has also worked as a patrolman on the street in a suburban Detroit community. Contact Jim. Check out the Officer.com web site. Law enforcement and sports have a long history. For decades, Police Athletic Leagues and Police Boys and Girls Clubs have brought law enforcement officers and young people together. Many police officers are themselves athletes or they coach youth or adult teams. And, of course, no professional sports franchise in the country could exist without the support of local law enforcement assisting with security, traffic control and other safety responsibilities. On Saturday, June 14, one professional sports team – the Philadelphia Soul of the Arena Football League – decided to give something back to the public safety community. During its game against the Cleveland Gladiators, the Soul held a special “Heroes Night” to honor both law enforcement officers and firefighters who have died in the line of duty. The family of Philadelphia Police Officer Charles Cassidy received special recognition during the pre-game ceremony at the Wachovia Spectrum. Officer Cassidy was gunned down last November as he walked in on an armed robbery at a local donut shop. His name was engraved this spring on Panel 50-West of the National Law Enforcement Officers Memorial – one of 245 Philadelphia Police officers who have made the ultimate sacrifice throughout the history of that proud department. As part of the “Heroes Night,” the NLEOMF was invited to set up a display booth at the Spectrum. Literally hundreds of Soul fans stopped by to pick up free lapel pins, learn about the Memorial Fund and its programs, and purchase merchandise including tee-shirts, stuffed “police” animals and awareness bands. Others simply wanted to make a donation to support the work of the Memorial Fund – including one particularly generous man who pulled a crisp $100 bill from his pocket, gave it to an NLEOMF staff member and quietly disappeared back into the crowd. Some of the visitors were active or retired law enforcement personnel – not only Philadelphia Police officers, but also officers, deputies, state troopers and correctional officers from Pennsylvania and New Jersey. Most said they have friends or colleagues whose names are engraved on the Memorial, and they wanted to stop by and show their support. The NLEOMF thanks owner Jon Bon Jovi and the entire Philadelphia Soul organization (in particular, George Fielden Jr., Deputy Fire Marshal in Upper Merion Township, PA, who handled many of the arrangements) for choosing to publicly honor our public safety heroes and for allowing the National Law Enforcement Officers Memorial Fund to be part of a very special evening. Footnote: A day later, on Sunday, June 15, the Philadelphia Soul joined the Philadelphia Fraternal Order of Police, the International Brotherhood of Electrical Workers Local Union 98, and Bonks Bar and Grille in helping to support the Sergeant Stephen Liczbinski Father’s Day Benefit during an old-fashioned block party. Sergeant Liczbinski, also a member of the Philadelphia Police Department, was shot and killed in the line of duty on May 3rd of this year. On Friday night, June 6, Fredericksburg (VA) Police Officer Todd Bahr did what police officers across the country do every day of the year: he responded to a call for help from a victim threatened by domestic violence. And, in the words of Police Chief David Nye, he saved the woman’s life – even as he gave his own in the process. The woman had called police to report that her ex-boyfriend, a 47 year old who had recently served six months in jail for another domestic disturbance incident, had threatened her and was outside her residence brandishing a handgun. The suspect fled the scene before officers arrived, but his vehicle was eventually spotted in the parking lot of an apartment complex adjacent to the victim’s home. Officer Bahr was among the first officers on the scene, when the suspect, who had exited his vehicle and was hiding nearby, opened fire. Officer Bahr was struck in the head in what Chief Nye called an “ambush.” In the ensuing gun battle, officers struck the suspect several times. Severely wounded, the suspect turned his gun on himself and committed suicide. Experts note that while domestic disturbance calls are among the most common calls that law enforcement officers handle, they are also among the most dangerous. In these situations, emotions are running high, the offender is often familiar with the “territory” and, in addition to lethal weapons such as guns and knives, alcohol and drug use are frequently involved. Friday’s incident in Fredericksburg was further complicated by the fact that officers were pursuing the suspect in their cars and on foot. As NLEOMF Chairman and CEO Craig Floyd wrote in a recent article for American Police Beat magazine, the dangers associated with domestic disturbance calls are not a new phenomenon. In fact, since 1855, when New Haven (CT) Night Watchman Thomas Cummins became the first U.S. law enforcement officer ever to be killed on a domestic disturbance call, more than 550 other officers have suffered the same tragic fate. Twelve of those officers were shot and killed in 2007, including Corporals Arlie Jones, Scott Gardner and Abel Marquez of the Odessa (TX) Police Department. They were gunned down last September when responding to a domestic violence call where a woman had reported being hit by her drunken husband. NLEOMF records indicate that drugs and/or alcohol were a contributing factor in more than one-third of the domestic violence-related deaths of U.S. law enforcement officers. Information on funeral arrangements for Officer Bahr. Video from Trooper John Houlberg's police cruiser when he was struck, Nov 22, 2001. The summer months are fast approaching, and even with gas prices at record highs, our nation will see a large amount of traffic on our roadways. Excited children who are out of school for the summer will be riding in cars filled with vacation gear for a family outing or a simple visit to a tourist attraction. We have an ever increasing number of driver distractions, including GPS devices, iPods, cell phones and the like. With law enforcement officers out in full force during many of our peak driving times, there will undoubtedly be an officer or emergency vehicle on the side of the road, and we all know we cannot pass by without looking at what’s going on. Have you ever thought, just as we shouldn’t focus on our mp3 player or cell phone while we’re driving, we shouldn’t be so concerned about focusing on our emergency vehicles on the side of the road either? Well, what do you mean by that, Trooper Houlberg? What I’m simply saying is this: if we are more concerned about trying to see what’s going on with that emergency vehicle on the side of the road with their lights flashing, how concerned are we going to be with making sure that the people in that vehicle have the room they need to do their job safely? Don’t believe me? Well let me recall my personal experience with this. On November 21, 2001, which was the night before Thanksgiving (one of the peak driving times on our nation’s roadways), I had a vehicle stopped on the interstate in the emergency lane. I parked my police car just like we should, protecting me from the traffic. However, at 12:08 am, without a bit of traffic on the roadway, a motorist caught sight of those beautiful blue police strobe lights, and guess what? She drove right into the police officer standing in front of those lights. I was thrown up into her windshield, struck the sport utility vehicle that I had pulled over for speeding and came to rest in the emergency lane. I was med-flighted to the hospital, where doctors spent the next eight days determining what my injuries were and whether I would recover. Over the next 12 months, after repeated surgeries and daily physical therapy, I learned to walk and then run. Finally, after building my strength back up, I returned to work. Ironically I returned to work on Thanksgiving weekend 2002. My family and co-workers were astonished: “You’re going back to work after a year; and on Thanksgiving weekend?” To me there was no other choice. I had waited a long time to climb back in that car, wear that uniform and enforce the law that meant so much to me. That’s the law of the road, the law that says we shouldn’t drink and drive, we shouldn’t drive in excess of the speed limit, we shouldn’t drive aggressively toward other motorists, we should wear our seatbelts to reduce traffic fatalities and injuries, and, which was very close to my heart, the law that says we should be aware of our emergency vehicles out there and afford them the room they need to do their job safely. While the season approaching us is the summer driving season and not Thanksgiving, we can still take time to consider our emergency vehicles out there. Remember that old adage we learned in driving school or your parents taught you: “You drive where you look?” Just consider the last time there was a pothole in the middle of the road or a piece of wood on the side of the road. You stare at it and, sure enough, you run right over it. So instead of focusing on these beautiful emergency lights and considering what’s happening on the side of the road, let’s all try to think how we can help that emergency vehicle by providing them the room they need. Move over into an adjacent lane of traffic; if that’s not possible, slow down and give them as much room as you can. Try to limit the amount of distractions you have in your vehicle. Every second your eyes are off the road is a second you’re endangering your life and the lives of others. I’m sure every police officer has a story about how they were almost hit, and there are many (like me) who have been hit by traveling motorists, either inside or outside of their cars. You see, my fellow officers and I are looking forward to these summer months with our families too, whether it’s a trip to the beach or a vacation or simply visiting somewhere for the day. This past year, we added 181 law enforcement officers to the walls of the National Law Enforcement Officers Memorial in Washington, D.C. This made 2007 the second deadliest year for law enforcement since 1989, second only to 2001, when the terrorist attacks of September 11 claimed 72 lives. Just as tragically, 83 of the officers who died last year were killed in traffic-related incidents – the most law enforcement officers ever killed in a single year by vehicle-related crashes. We should be seeing these numbers decline every year, but tragically they have not. Fortunately, we can all contribute to the safety of our officers just by being aware of their presence and affording them the room to do their work. Footnote: To help spread the word about traffic safety, Trooper Houlberg is participating in ceremonies at the Richmond Braves baseball game against the Norfolk Tides on Saturday, June 7. The game is being sponsored by the Virginia State Police’s HEAT Program: Help Eliminate Auto Theft. Trooper Houlberg is throwing out the first pitch, and there will be information about the importance of Virginia’s “Slow Down Move Over” law. So far this year, the number of law enforcement officers shot and killed in the U.S. has been cut in half. But this week’s fatal shooting of Tucson (AZ) Police Officer Erik Hite reminds us of just how dangerous and unpredictable law enforcement work remains – especially when officers are confronted by heavily armed and brazen criminals who don’t hesitate to fire upon not one, but multiple law enforcement officers. Officer Hite was shot once in the head – “ambushed,” in the words of Tucson Police Chief Richard Miranda – at about 10:30 am, on Sunday, June 1, during an hour-long shooting spree that crisscrossed the city. The 43-year-old officer, whose career included four years with the Tucson Police and 21 years with the U.S. Air Force, died the following day. He is survived by his wife, their daughter (who has yet to turn 1), an adult son, his parents, his birth mother, two sisters and a brother. The circumstances of the shooting are disturbing – and definitely appalling. Police report the suspect, a 25-year-old man from Northwest Tucson, began firing without provocation into two of his neighbors’ homes on Sunday morning. When a Pima County Sheriff’s deputy spotted him a few miles away, the suspect fired into his vehicle, striking the deputy in shoulder. Deputies spotted the suspect a short time later, and laid down spike strips to stop his fleeing vehicle, but he made an abrupt left turn. As officers approached, the suspect opened fired again, striking Officer Hite while he was in his vehicle, and then fled again. Before he was eventually captured more than an hour after the incident began, the suspect fired on other pursuing officers, grazing a second sheriff’s deputy in the head. The shooting spree seemed to be unprovoked and the targets – both the houses and the officers – appeared to be random, according to police. They found several weapons and large amounts of ammunition in the suspect’s vehicle. According to the Arizona Daily Star, police officials characterized the weapon used by the suspect as an assault rifle but declined to name the exact type. Officer Hite is the eighth Tucson Police officer to die in the line of duty and the first since May 2003, when Officer Patrick Hardesty was shot and killed while pursuing a suspect on foot. Tucson’s earliest line-of-duty death, in July 1892, occurred when Officer William Elliott was stabbed to death by a suspect who the officer managed to fatally wound. As of June 3, 2008, total officer fatalities in the U.S. are down 44%, to 46 from 82 at the same time of 2007. The number of officers killed by gunfire is down 53% this year, from 34 to 16. 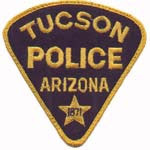 Send your condolences to the Hite family and the Tucson Police Department.